Travelers in search of the end of the earth need to look no further when they arrive at Gili Lankanfushi in the Maldives. This sanctuary by the sea, set on its own private island in the Indian Ocean, plays host to 45 overwater villas with an eco-friendly design that blends seamlessly into the pristine surrounds. Guests can soak in the sights by land or by sea as they try their hand at surfing, reef diving and a myriad of watersports, followed by a sunset cruise on the resort’s Riviera Yacht. Guests are treated to gourmet dining, cooking classes and tasting tours. Sun worshipers are called to Meera Spa’s yoga and meditation champa for a sunrise salutation. A resident marine biologist delights younger travelers with interactive environmental programs. For the adults, a personal guest experience host named Mr. Friday (after Robinson Crusoe’s loyal assistant), ensures there is not a care in the world for guests in residency at Gili Lankanfushi. Gili Lankanfushi features just 45 sumptuous over water villas, including Crusoe Residences and The Private Reserve reached only by boat. Eco-friendly villas are each serviced by a personal Mr. Friday and feature private water gardens, roof-top and over-water sundecks, open air bathrooms, and sumptuous daybeds. 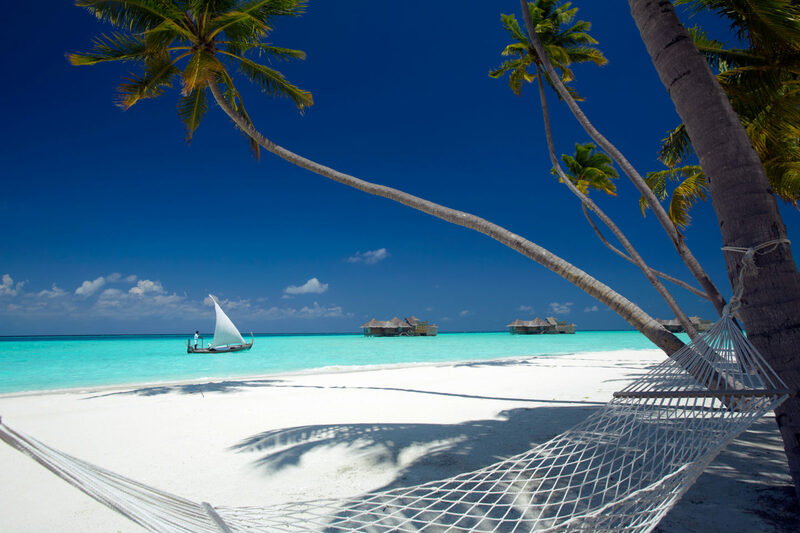 Gili Lankanfushi is located in The Maldives on a private island in the North Malé Atoll.